0ur experimental music were visualized by means of water in a specially protected loudspeaker. This project is a starting point for a project of GYATAM in particular. thanks i'm hearing a silence of word. 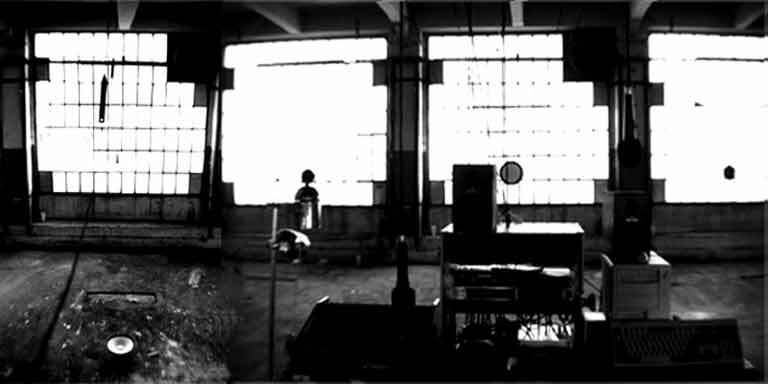 Sonic composition of architecture environment in the industrial space which had a relationships between time and space. Instalation created sonic composition with interaction of feedback between microfons and loudspeakers. Sonic performance for the gothic monastery. This space and especially his inner acustic space is sound instrument which comunicate with others instruments. 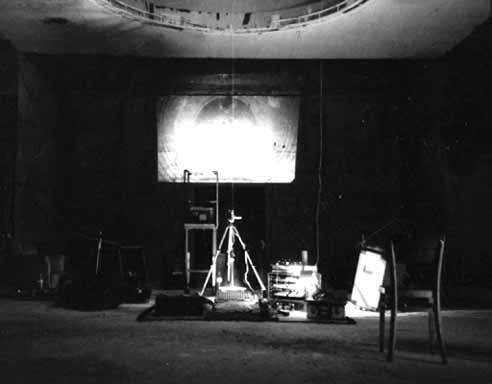 We used a mobilphone to made sound bridge between place of performance and www.radiojeleni.cz; this one was made at date of springs equinox spring of 2000. In the acustic enviroment was a two loudspeaker which were interconncected to thread on the membrane. Sound work with acustic space in baroques church. We used water in the loudspeakr for visualisation of sound. We made composition for visualization of space frequency. Inside the acustic enviroment we used the microfons as source which scaning the space and modeling his frequency. Sound was modeling on controllable feedback between microfon, loudspeakers and timespace. All vibration was amplified and harmonized for outputs composition. is an interactive installation related to the earth landscape and especially to the sonic environment. The installation can be extended to communicate with inner spaces and personal experiences in this world as well. The installation consist of an interface - an imaginary map of the recorded sounds from many places that concetrate on interactiv images of the human evolution and personal way,a by the use of a special software these aspect recreate the experience of perception within the real spaces.